Band Name Generator is a free app that uses involved algorithms and word banks that allow it to produce over 3 million unique and random band names. This is the perfect utility for the startup highschool or college garage band, enabling users to view modify and create random band names of all types and lengths. You can add resulting names to your favorites and even use the app to share them with friends via Facebook, SMS text message, email, Gmail, and blueetooth. The best part is that this app has a self-updating database that automatically checks the main server upon every login for updated word-bank lists, exponentially growing the variety of band names the app is capable of coming up with. The startup database is capable of well over 3 million combinations, and with each quick-update, thousands of new combinations are automatically available. 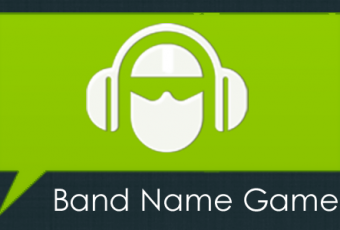 Anyone interested in music, whether it be piano, guitar, drums, keyboard, or even people who just like to sing or dance could get inspired by using Band Name Generator.